Moscow (AFP) - The Kremlin said on Thursday that the Washington investigation into alleged interference by Moscow in the 2016 US election was not Russia's problem, after President Donald Trump sacked Attorney General Jeff Sessions. "This investigation is a headache for our American colleagues, it has nothing to do with us," Kremlin spokesman Dmitry Peskov told journalists when asked if Session's firing would influence the probe by Special Counsel Robert Mueller. "What Mueller's commission has produced up to now has hardly been able to stand up to serious critical assessment," Peskov added. Trump also accused him of protecting Mueller's investigation into whether the Trump campaign colluded with Russians -- an investigation that is also examining whether the president himself obstructed justice. 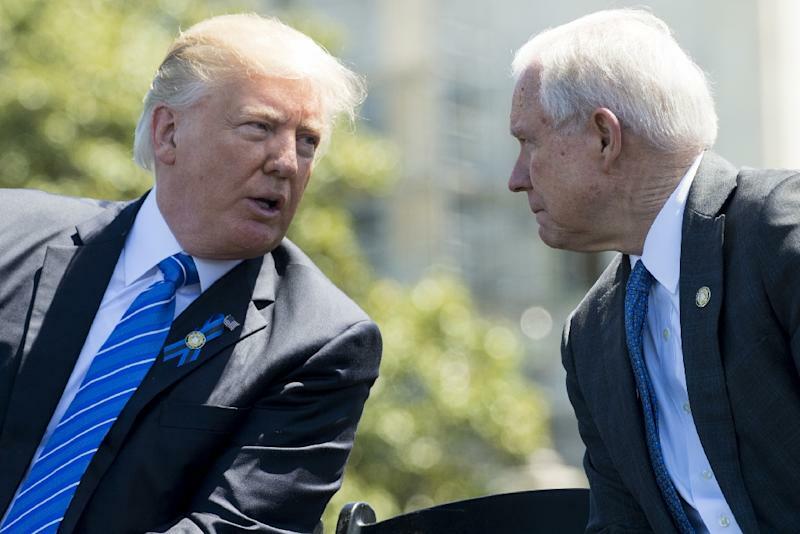 Sessions' firing immediately threw into question whether the 18-month-old Mueller probe would be able to continue unimpeded.